Known for many centuries as the source of fine cotton and silk textiles, India has produced some of the world’s most innovative textile traditions. 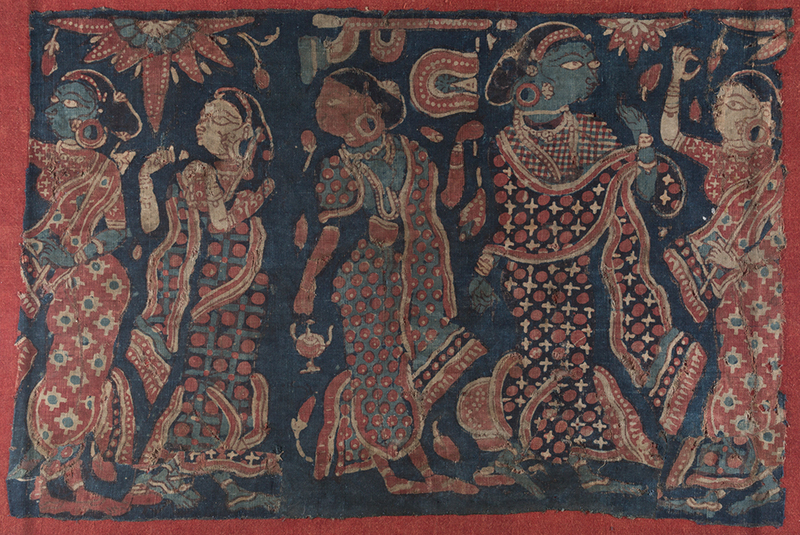 Spanning five hundred years of the history of India’s thriving commerce to Southeast Asia, Europe, and Japan, this exhibition reveals why Indian textiles were in demand the world over. The textiles presented in this exhibition, drawn from the collection of Banoo and Jeevak Parpia, tell a fascinating story of global commerce and the ingenious ways that Indian artisans designed and produced goods of astonishing beauty and technical sophistication, while also revealing how cross-cultural interchange contributed to global aesthetic developments. A fully illustrated catalogue with essays by leading experts Ruth Barnes, Kaja McGowan, and Sylvia Houghteling elucidates the history of the Indian textile trade. This exhibition was curated by Ellen Avril, chief curator and curator of Asian Art, at the Johnson Museum, and supported by a generous gift endowed in memory of Elizabeth Miller Francis ’47.